Life can be a real bear at times, and the pep talk from your best friend doesn’t always take the edge off of your anxiety. Let’s face it, when you are in the middle of finals, interviewing for that fabulous job, or waiting to hear back from the university that you must absolutely get into it can be a little hard to concentrate and relax. Stress and anxiety can cause mental and physical effects. According to WebMD stress can cause headaches, upset stomach, and low energy, as well as the inability to focus and poor judgment. However, anxiety is much more complex than not being able to concentrate, or making bad fashion statements due to poor judgment which is why it is important to recognize the signs and symptoms of anxiety early. Mayo Clinic categorizes anxiety as a condition that persistently interferes with daily activities such as work, school or sleep. Anxiety can affect a wide range of ages. The typical symptoms that one recognizes are trembling, apprehension, a feeling of powerlessness, rapid breathing, and sweating. If not addressed, anxiety may lead to other complications. However, before you start to panic, no pun intended, there are several natural options you can integrate into your lifestyle to help bring a sense of calm back to your life including eating healthy, getting enough sleep, staying physically active, and massage. 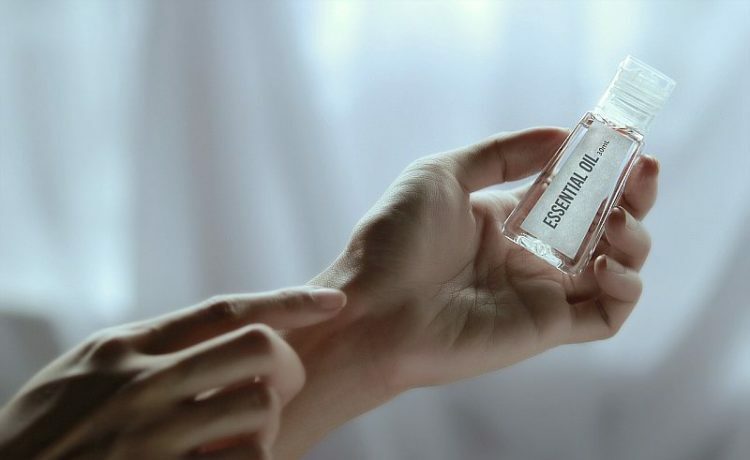 However, one of the best forms of relieving anxiety is through the use of essential oils and aromatherapy. Essential oils are volatile plant based oils that have been used for centuries in beauty and medicinal preparations. You can find essential oils readily available at your local pharmacy or health foods store ranging in price from $3.00 upward of $15.00. The price variance is based on how scarce the plant is prior to turning it into an essential oil. There are hundreds of essential oils on the market. 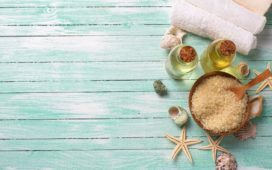 However, not all of them are safe to use, and none of them are safe to place on the skin directly unless the bottle indicates it has been diluted with a plant oil of some kind. If you are handling 100% essential oils or if you are unsure, always blend it with what is known as a carrier oil. Carrier oils are nothing more than a plant based oil such as vegetable, corn, olive, or sweet almond oils. The reason for this is so as to not cause irritation to your skin. Essential oils can also be placed in a diffuser, on a cotton ball or napkin without diluting. In this case you would simply breathe in the essence of the oil through your nose. Bergamot: Assists in relieving stress and depression accompanied by anxiety. Clary Sage: Relieves stress and exhaustion, which are typically accompanied by anxiety. Lavender: Relieves stress, assists in relaxing and getting to sleep. Patchouli: Assists in relieving fatigue which is associated with anxiety. 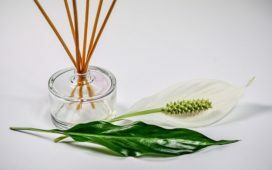 As a licensed massage therapist, my personal favorites to use are Neroli, Osmanthus, Lavender, Grapefruit, Bergamot, Rosemary, Rose, Basil, Chamomile and Geranium. I have found these oils to be the best in aiding in relaxation and relieving anxiety. To access the deepest part of your sensory plexus place the essential oils on a tissue, and breathe the tissue deeply. Or, blend the essential oils with a carrier such as olive or sweet almond oil or any other plant based oil, and massage onto your temples, scalp or both. 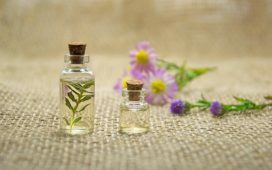 As with any medication including herbs and essential oils, you should check with your physician if you have any conditions that require medical care including pregnancy before using essential oils.